Brenda L. Storey, Esq., has once again been selected by her peers to be in The Best Lawyers in America® for 2018! This is Ms. Storey’s 5th consecutive year being awarded this coveted designation. Attorneys named to The Best Lawyers in America® were recognized by their peers in the legal industry for their professional excellence in over 145 practice areas. For the 2018 Edition of The Best Lawyers in America®, 7.4 million votes were analyzed, which resulted in more than 58,000 leading lawyers being included in the new edition. Ms. Storey is one of the most prominent and well-respected family law practitioners in the state. She has been specializing in family law for over 20 years, and she knows this area of law from the inside out. She works directly with the sponsors, drafters, and lobbyists of family law-specific proposed legislation. She chaired the Family Law Section of the Colorado Bar Association, working closely with practitioners, judicial offers, and experts to improve the domestic relations practice and its impact on the families it is meant to protect and serve. Ms. Storey has run the Family Law Basic Skills seminar annually, teaching her colleagues new to this practice of law the substantive fundamentals. She has co-authored treatises and articles focused on family law practice, and she lectures regularly on numerous domestic relations specialized topics. Best Lawyers® is the oldest and most respected attorney ranking service in the world. 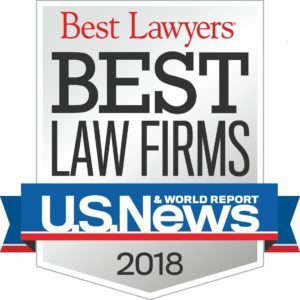 For more than 30 years, Best Lawyers® has assisted those in need of legal services to identify the attorneys best qualified to represent them in distant jurisdictions or unfamiliar specialties. Best Lawyers® lists are published in leading local, regional and national publications across the globe.